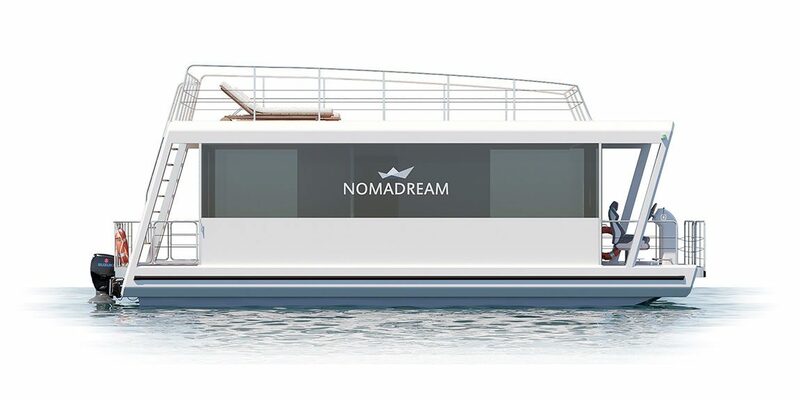 Nomadreams invits you to take a look at our newest type of housboat ! Perfect and safe design for modern lifestyle is waiting for you ! Imagine living closer to nature, feeling freedom in every hour of your life. 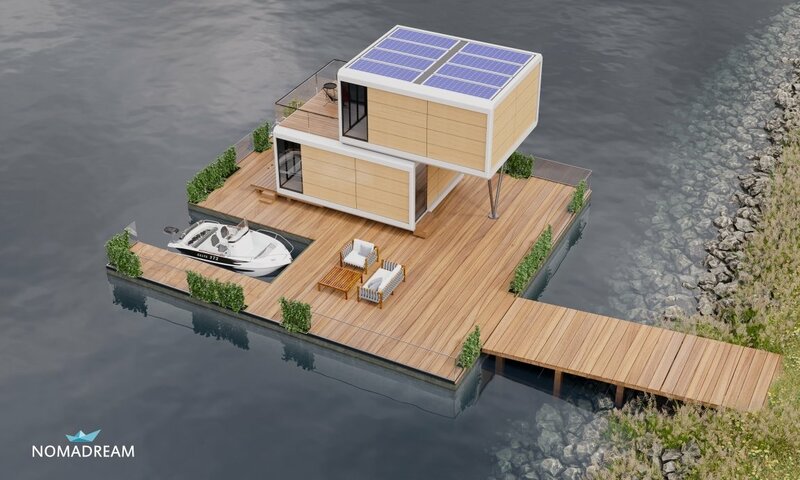 Walking up in your houseboat on a beautiful water view, breathing fresh air, harvesting the power of sun and surrandings. Living everywhere you want in a beautifully designed space that offers full comfort and mobility whenever you want to change a place. 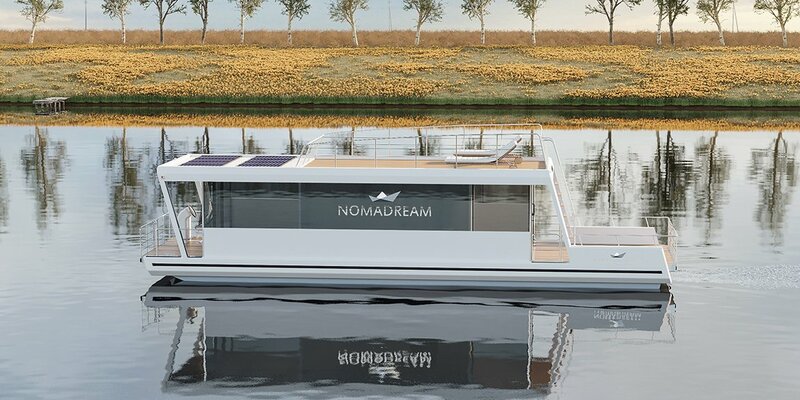 Nomadream introduces the concept of mobile living – most exciting, luxurious accommodation in the place you will choose. 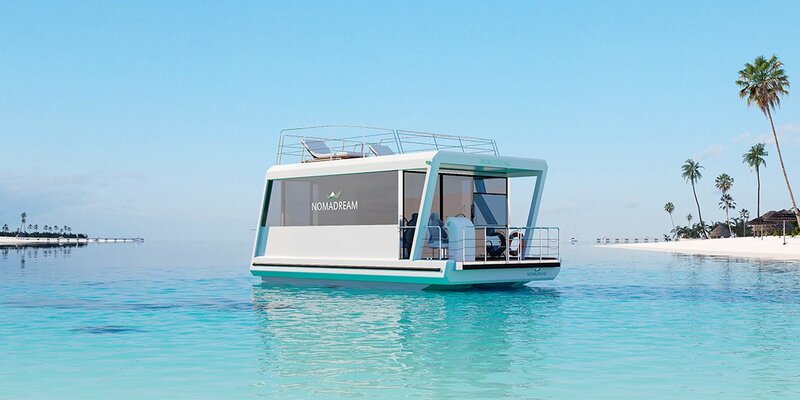 Whether you has a wish to own a beautiful space to relax, make a statement or seize a business opportunity all you need to know that Nomadreams offers top quality, designed houseboats and mobile homes. 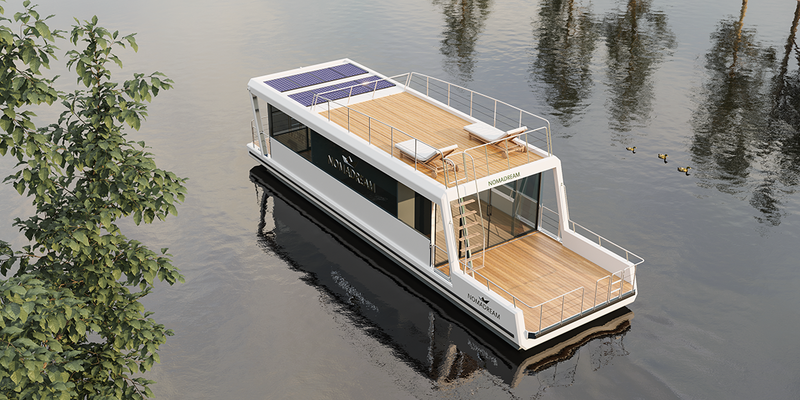 This 8×4 meter houseboat is ideal for charter companies looking for stable, safe units for short-term rental. 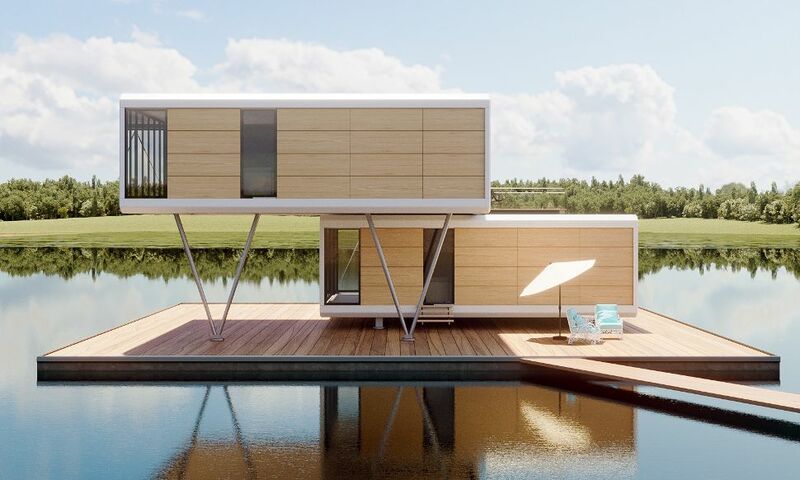 Due to its small size, this houseboat is easy to use and maneuver, and requires no permits are needed for navigation. Category D allows you to use it in closed waters and coastal waters. Inside you will find a spacious living room with a kitchenette that will fit a corner sofa, a table for six people and chairs. The kitchen contains all necessary appliances such as a fridge, sink and heating plate. There is also a separate bathroom with toilet and shower, and the second room with a comfortable sofa, wardrobe and a table. Importantly, all sofas can serve as double beds providing comfortable sleep for at least four people. 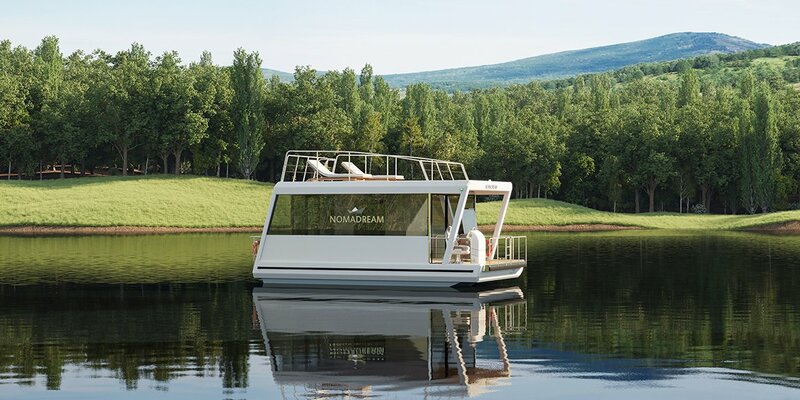 Choosing Nomadream means receiving a product of unmatched aesthetics, built with quality materials. 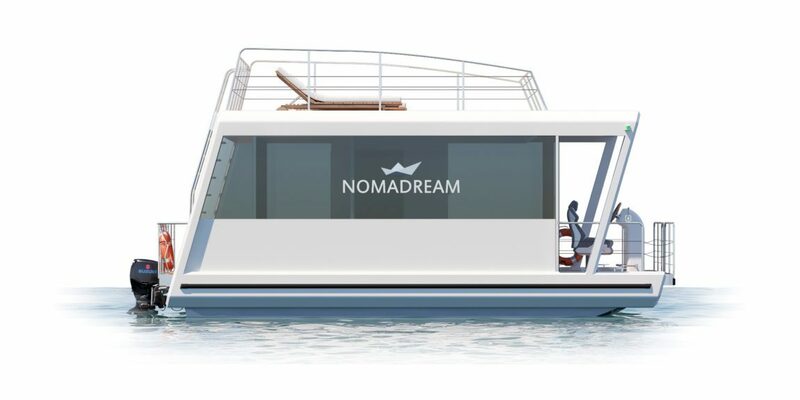 We approach every customer individually, so that each Nomadream houseboat can be customized accordingly to your needs. 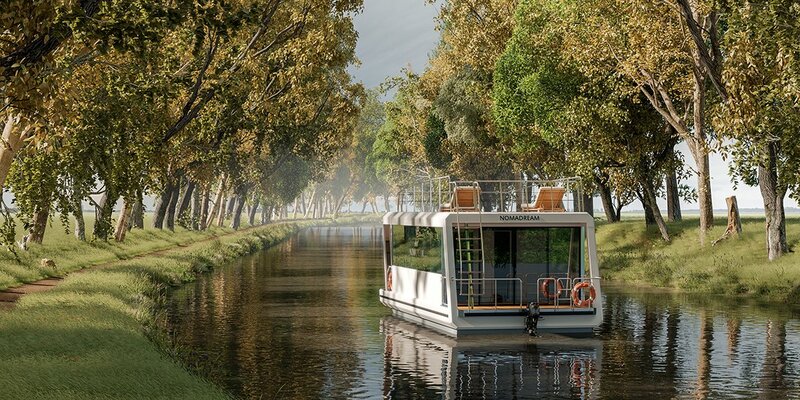 Use it as a stationary unit, permanently moored at the pier, or add an outboard engine and own a mobile floating house, ready to explore the world. 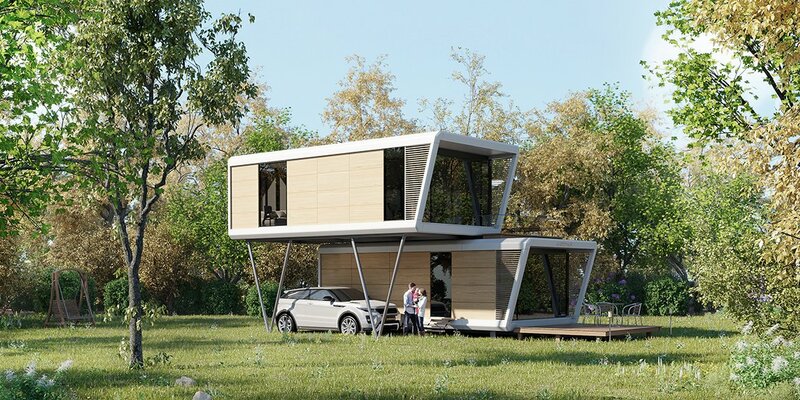 The Mobile HOME project enables maximum design flexibility. 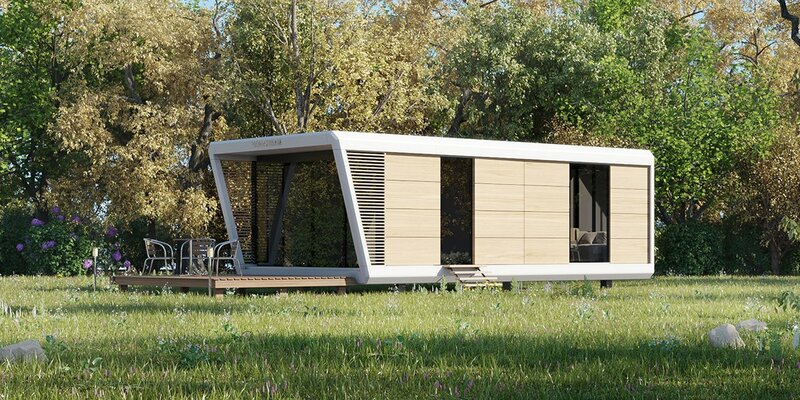 From single units to whole complexes composed of joint units, Nomadream creates beautiful and functional living environments for those who value comfort, style and sustainable living. 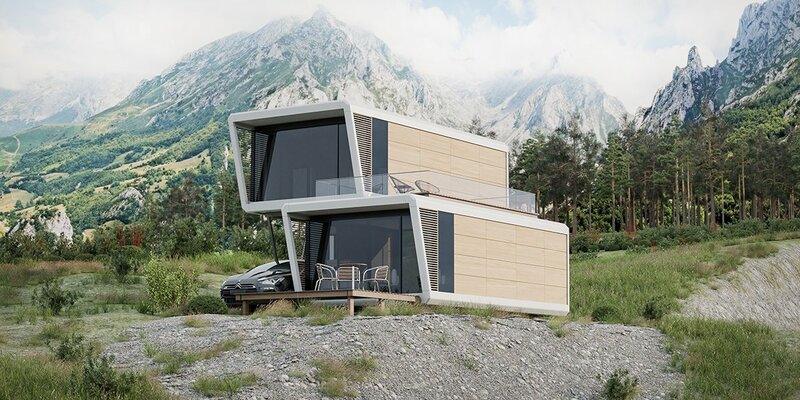 Nomadream’s MobileHomes can function as a unique renting space or a retreat for the environmentally conscious modern family. 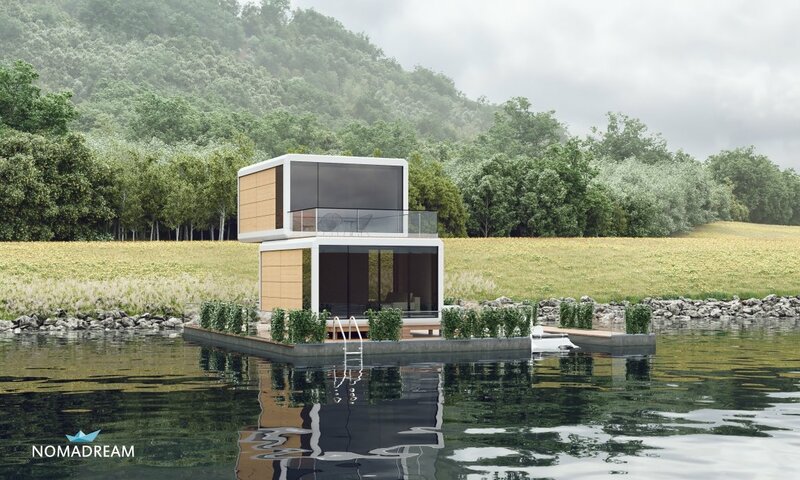 As with our houseboats, each unit can be customized accordingly to your needs with specific furniture, kitchen gear and materials. 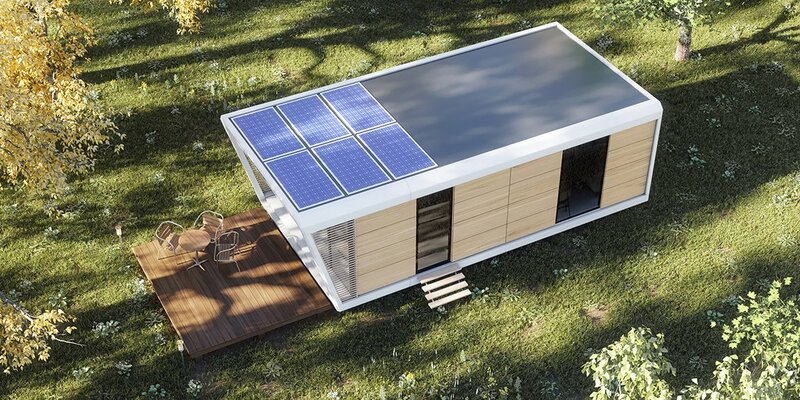 An example of a two-story building that combines two X1 modules. 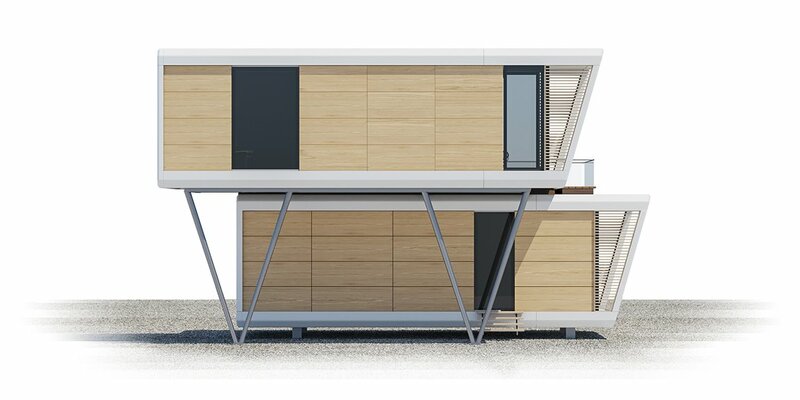 The shift in symmetry enables to incorporate a balcony on the second floor and a covered parking space beneath the upper module. 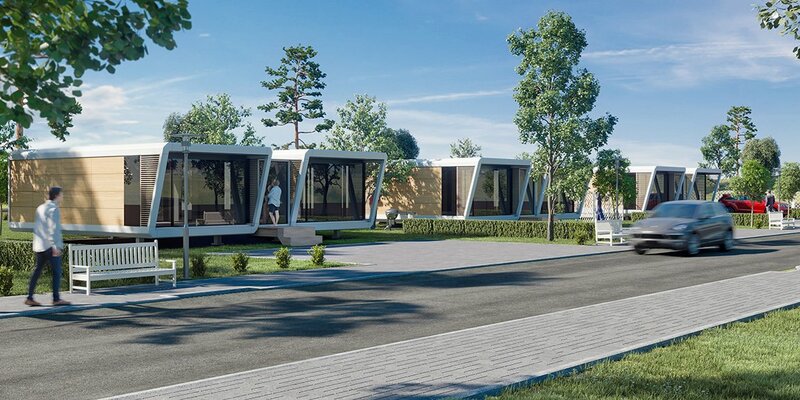 Our mobile homes are beautifully designed and fully functional modular living spaces for those who value freedom, peace and practicality. 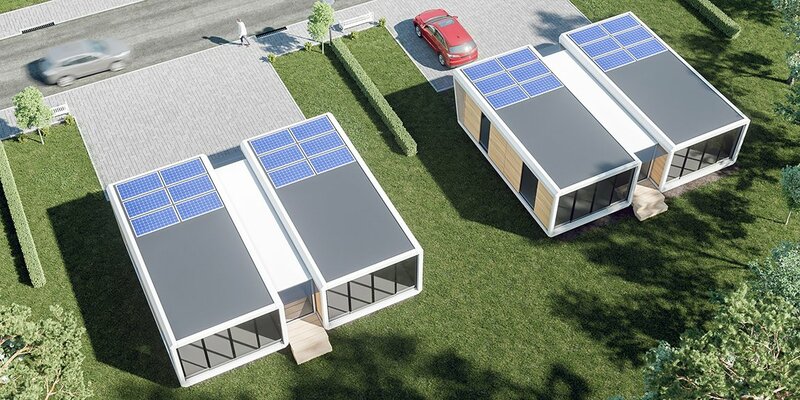 Each module is made of qualitative plastic, and walls are combed. 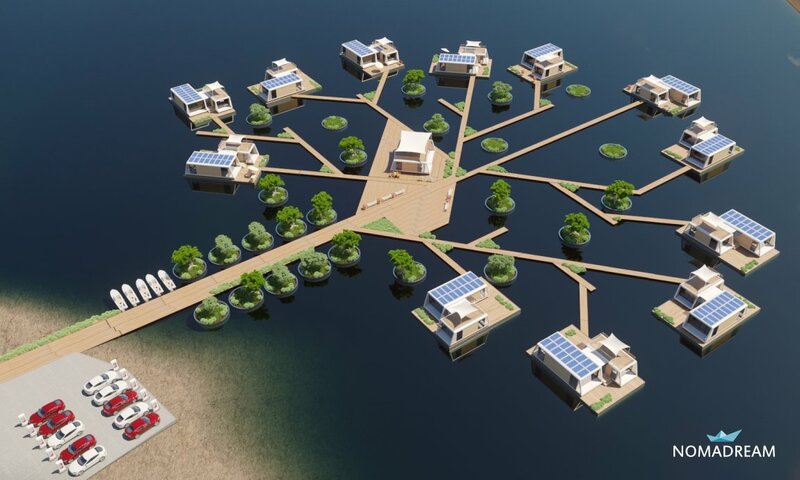 Want to go off the grid completely? 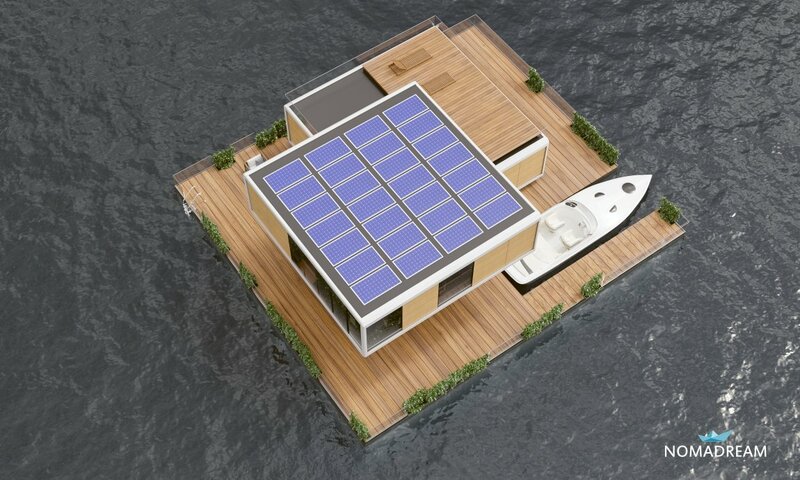 Install solar batteries on the roof and harvest sunlight to heat water and light your spacious apartment. 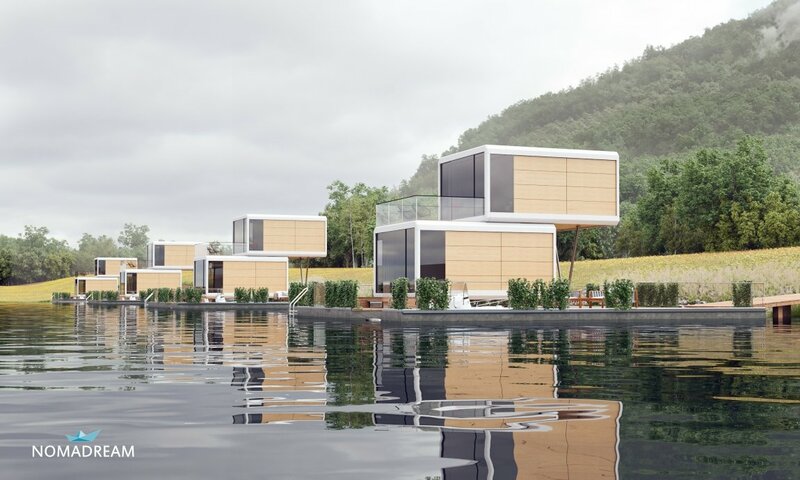 Our latest project marks the beginning of a new era in the quality of life on the water. 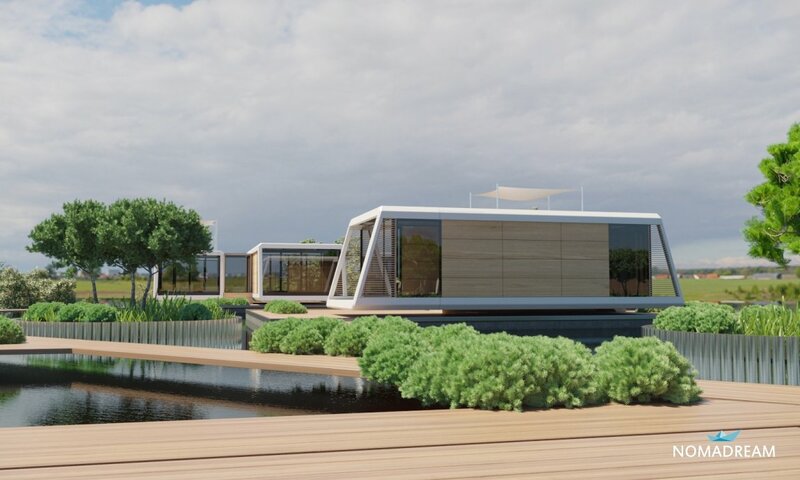 Nomadream houseboats are distinguished by their luxurious and sunny living spaces, where comfort and pleasure come first and model 1300 is no exception. 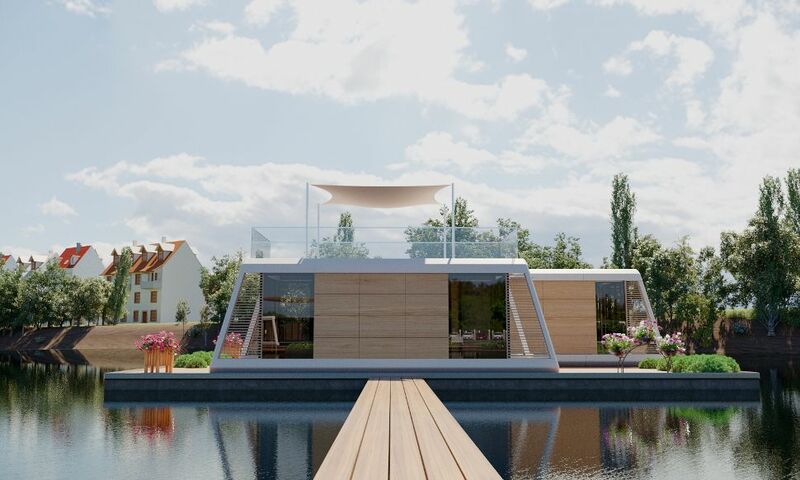 All construction and finishing materials used in the construction of houseboat, meet the stringent standards of the yacht industry as to waterproofness, fire resistance and resistance to sunlight. 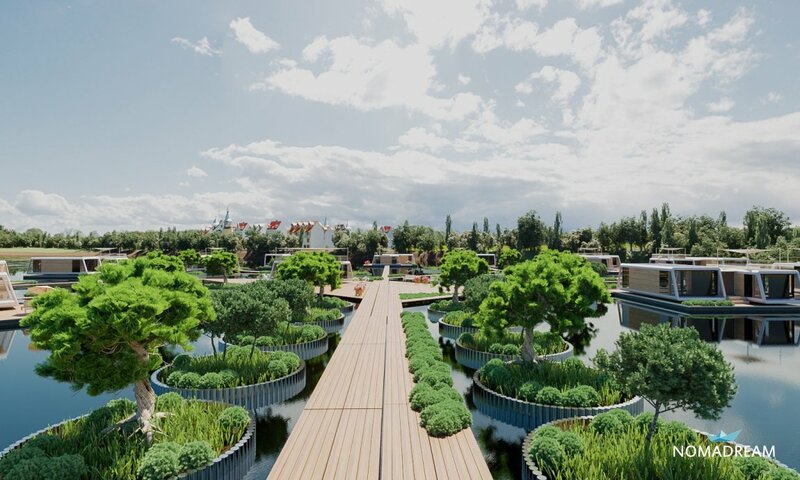 Thanks to this, the structure will retain its appearance and properties even for years of use in difficult weather conditions with minimal maintenance. 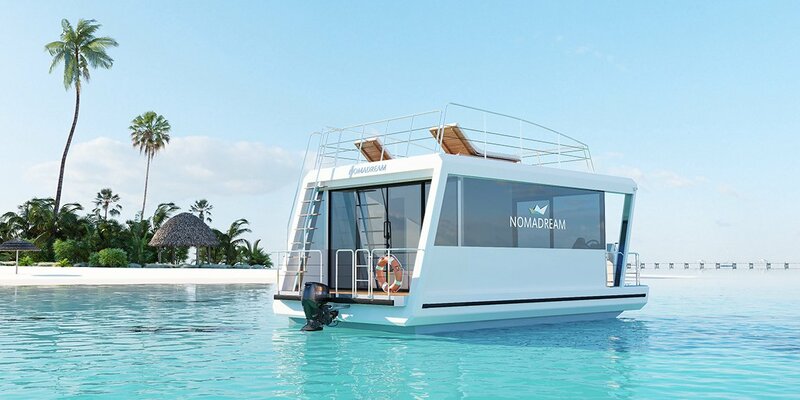 We approach every customer individually, so that each Nomadream houseboat can be with additional features such as: anchor winch, jacuzzi, heated floors, generator and even a decorative façade. The interior of the house is spacious enough to accommodate a double bedroom with a full-size matrimonial bed, wardrobes, bookshelves and bedside tables, a second comfortably furnished room, a separate bathroom with a closed shower, toilet and a set of furniture, as well as a spacious, bright living room with a fully equipped kitchenette. Outside you will find two terraces: large at the bow and smaller at the stern, from where you can climb to the top terrace. 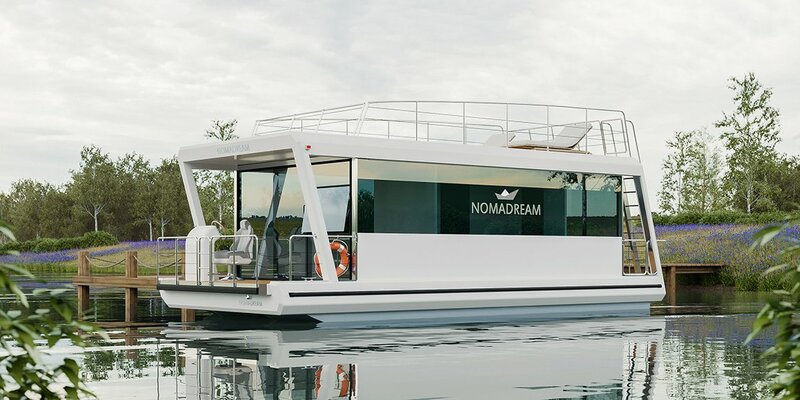 Nomadream 1000 is a perfect houseboat for enthusiasts of spending free time surrounded by water, and those who value ​​comfort, functionality and modern design. Easy to maneuver, comfortable, stable and safe make it an ideal pick for families wishing to sped time closer to nature. 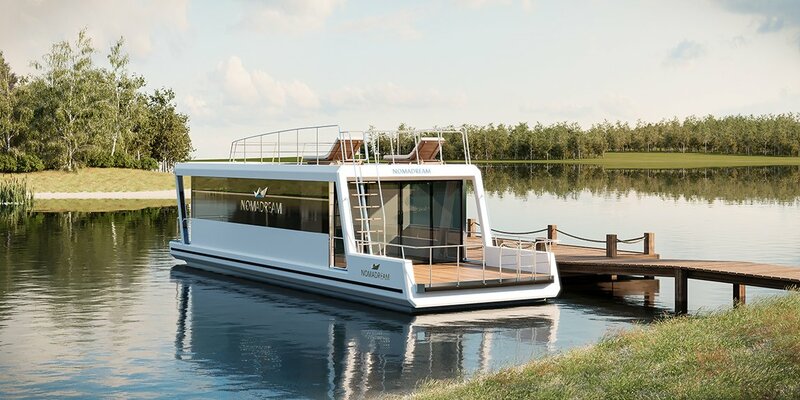 The outboard engine with low power will make the unit mobile, and will remain stable even on fast-flowing rivers. 4 people can live comfortably inside having at their disposal three independent rooms: a large living room with a kitchenette, a bathroom with a shower and a bedroom with a double bed. 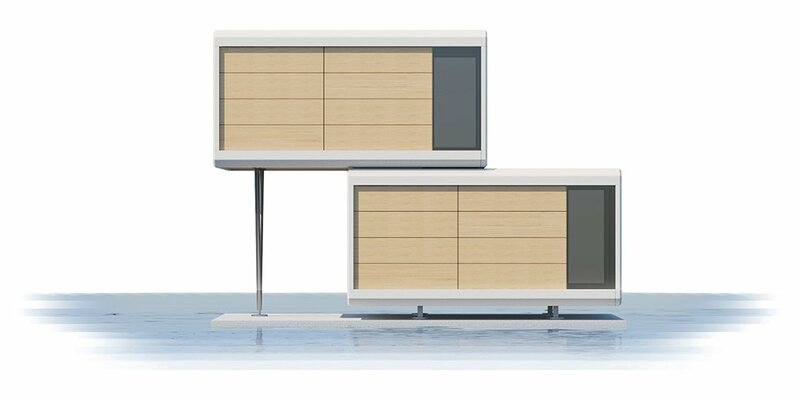 The bow, aft and top terraces provide you with plenty of place for furniture and offer additional storage spaces. Want to go green? 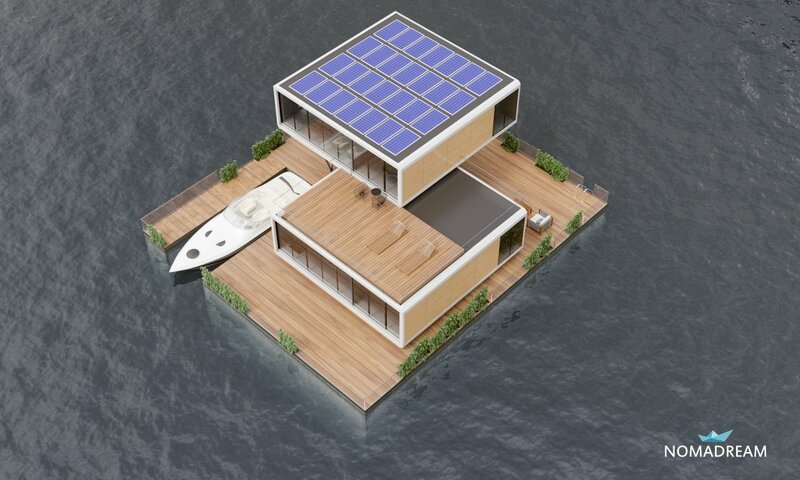 How about installing several solar panels on the roof. They will fit too. 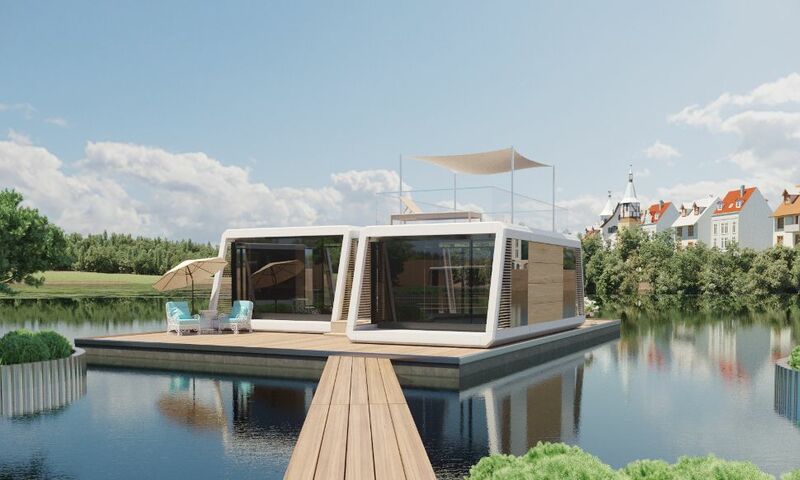 The whole construction of the houseboat is made of marine materials of the highest quality, so that it will endure severe weather conditions. 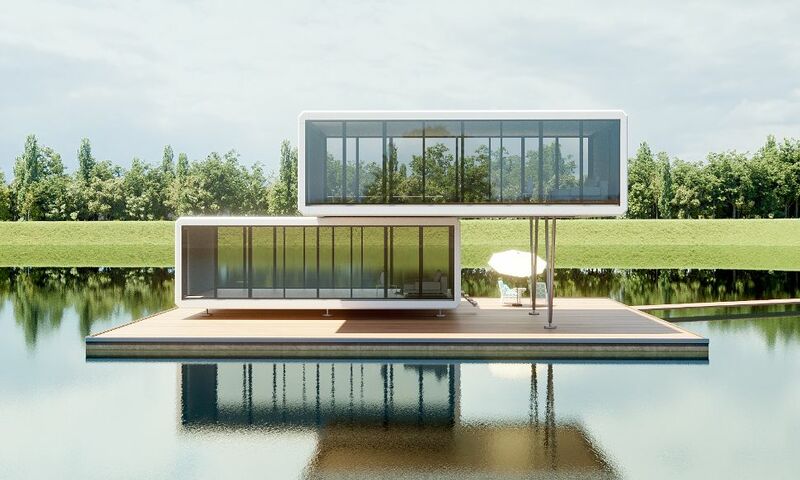 A wide range of optional equipment will satisfy even the most demanding customers: air conditioning, heating, wooden facade, decorative trim, shower on board, generator, camera, anchor and many more – all this makes the look and functionality of the housebot unrivaled.